After her first book was published in 1978, Jeanie began volunteering in those schools where the majority of students qualified for free or reduced lunch. 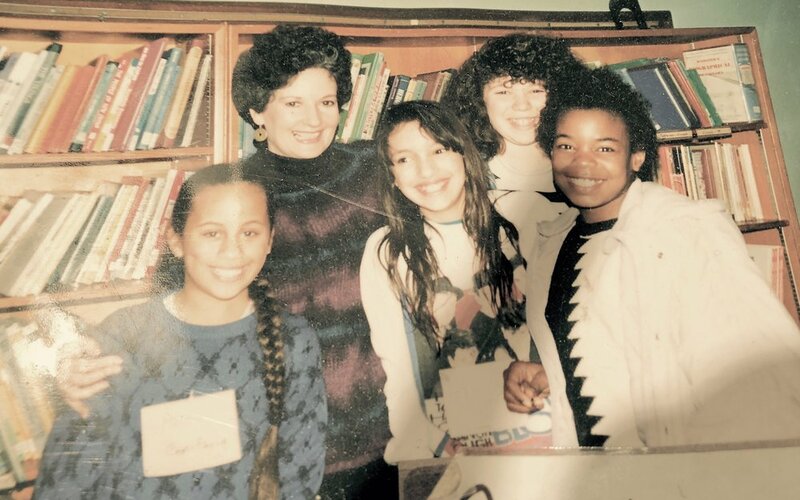 She is pictured above with students from Greenwood Elementary School in Seattle. 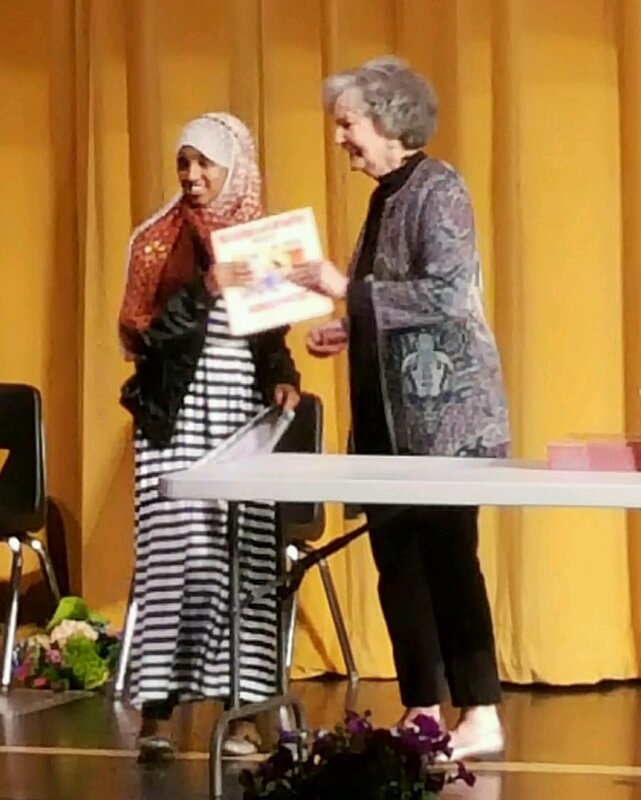 In 1985 Jeanie, along with reading specialist Lois Sax, founded the Seattle Reading Awards which recognized the fifth grade students in Seattle Public Schools who had shown the most improvement in reading. Norm Rice, former Mayor of Seattle was involved with the program from the beginning providing support and inspiring students. The program included students in Bilingual, Early English Learners, and Special Education programs and continued for thirty years. In 2015, Jeanie was part of an international symposium on censorship in children's literature sponsored by the Writers' Center at Yale University's affiliate program in Singapore: Yale-NUS College. 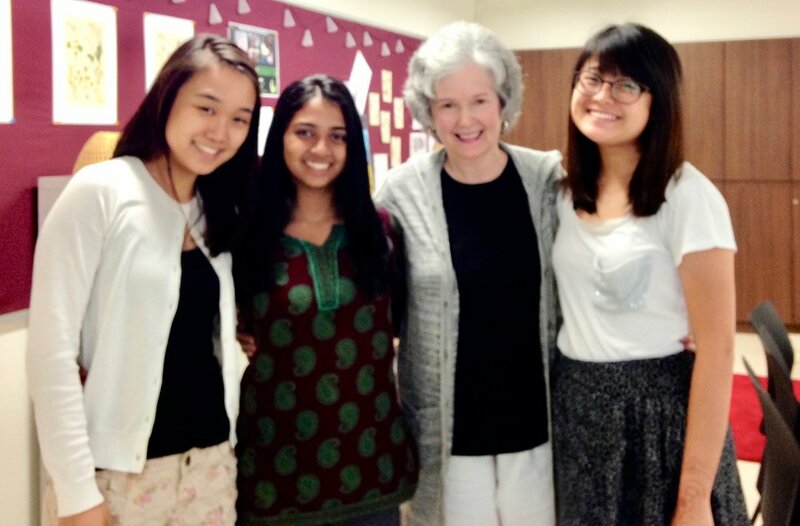 In addition to appearing on a panel, she held a workshop for students in the program and is pictured above with participating students. The symposium was the first of its kind held in Singapore.